This week, we recap the players ranked 7, 6, and 5 in the SoxProspects.com season-end Top 40. All entries in this year's Top 40 Season in Review series can be found here. 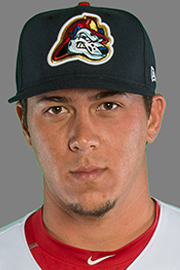 Season in Review: Guerra entered the year with some scouting buzz due to his elite defensive potential, but he was still flying under the radar to some degree, beginning the season at 16th in the SoxProspects.com rankings. However, he quickly put himself on the map after a hot start to the season, hitting .321/.365/.526 over his first 86 plate appearances, despite striking out in over 30 percent of those. He cooled off over his next 31 games, batting .229/.294/.431, with his strikeout rate remaining around 30 percent while his batting average on balls in play decreased significantly, a sign that he was getting a bit lucky with balls falling in early in the season. This week's roundup covers play from the period of December 21-27. For the full list of Red Sox prospects participating in offseason action, check out our Fall and Winter Leagues page, which will be updated continuously through the end of the offseason. The regular season ended on the 21st, with Este, Oriente, Escogido, and Licey all making the playoffs. Every Red Sox prospect was on one of these four teams, so there will be names to follow throughout the playoffs. The first games of the postseason took place yesterday, with Este defeating Oriente, and Escogido beating Licey. Marco Hernandez (pictured) went 1 for 3 for Licey. Season in Review: Kopech was selected with the 33rd overall pick in the 2014 draft, but threw just 13 innings in the Gulf Coast League in his professional debut, giving only a small indication of what might be expected from the Texan right-hander. In 2015, the soon-to-be 19-year-old broke camp with the Greenville Drive, three years younger than the average pitcher in the South Atlantic League. He had a short adjustment period, failing to make it through four innings in three of his first five starts, allowing eight runs in 18 2/3 innings, walking seven and allowing 14 hits although he did strike out 17 hitters. But from that point forward Kopech really turned it on. In what would be his final 11 appearances, he allowed only 11 earned runs over 46 1/3 innings for a 2.14 ERA. Consistency was key for him over that stretch, giving up one earned run or less in eight of those 11 appearances while averaging over a strikeout an inning, and his still-high 20 walks in that span ballooned due to the nine free passes he gave up over nine innings in his final two starts, perhaps signaling fatigue. This week, we recap the next three players in the season-end Top 40, going from 10 to 8. All entries in this year's Top 40 Season in Review series can be found here. 2015 Season in Review: Brian Johnson's ascent through the Red Sox system reached its apex when the former first-round pick made his major league debut on July 21. While it was a tremendous accomplishment for the left-hander, one that was well earned following a tremendous start to the year, it also represented a turning point in his year. After making that debut following a long layoff, Johnson made only two more starts before being shut down for the season with an elbow injury. Season In Review: Travis did not miss a beat in his second professional season, passing just about every challenge thrown at him in 2015. After raking in Lowell and Greenville in 2014 just after being drafted, Travis posted very impressive offensive numbers again in 2015 over two levels. 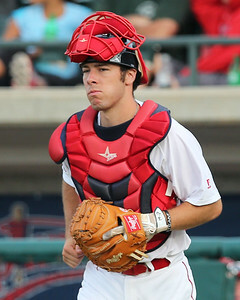 He earned the Red Sox Minor League Offensive Player of the Year award from the organization, as well as two SoxProspects.com Player of the Week honors and the SoxProspects.com Player of the Month award for June. 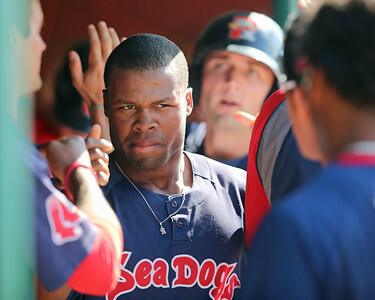 In that month for Salem, Travis posted a .406/.474/.638 slash line with three home runs and five doubles before being called up to Portland on June 24. He had nine multi-hit games in June, including a 4-for-4 day for Salem on June 12. He was also named to the Carolina League All-Star Game, where he collected a pair of hits. It's ranking season, and that gave us an excuse to get our friend Alex Speier of the Boston Globe and Baseball America to discuss his recently released list of the top 10 Red Sox prospects! We discuss the organization's first-class top 10 and potentially worrisome lack of depth after the top 7, whether the Red Sox gave up too much in the Craig Kimbrel deal, and much more! And as always, thanks to The Ludlow Thieves for our music! Get their new EP Sing Me Back, released Dec. 18, on iTunes! Click through for links and in-site player! This week's roundup covers play from the period of December 14-December 20. For the full list of Red Sox prospects participating in offseason action, check out our Fall and Winter Leagues page, which will be updated continuously through the end of the offseason. Marco Hernandez started the week hot, going 2 for 3 with two doubles and a run scored on Tuesday, but proceeded to go 0 for his next 10 to close out the week. Aneury Tavarez was 2 for 8 with an RBI in three games this week. Roman Mendez was the only Red Sox pitcher to appear in the Dominican League last week. He appeared in two contests, tossing an inning of relief, allowing a run on two hits and two walks. He picked up the loss in Wednesday's contest against Licey. 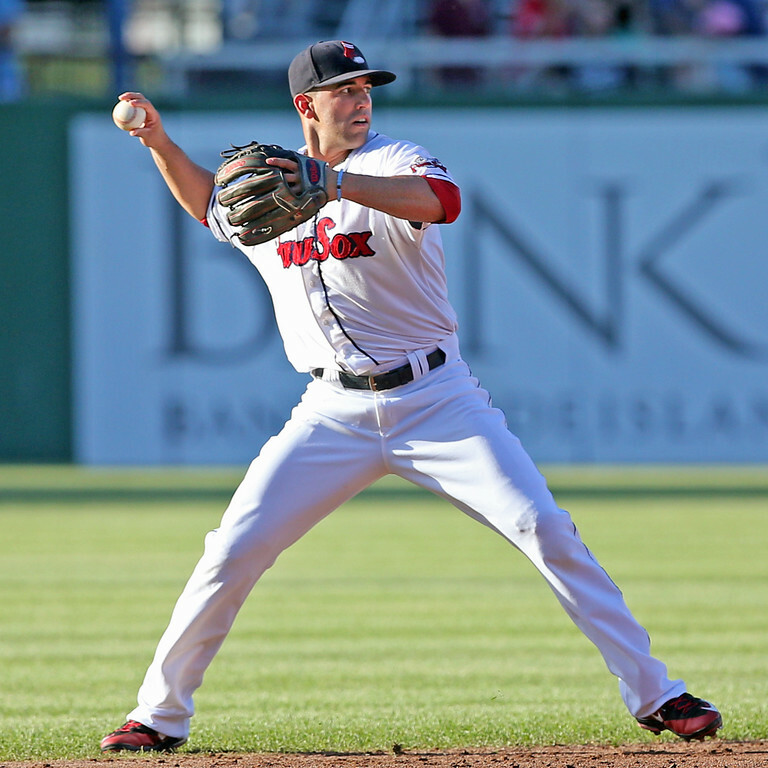 Season In Review: Marrero has always been lauded for his defensive talents at shortstop, and that was enough to get him into 25 games for the major league club, making his debut in the bigs in his fourth year in the Red Sox system. He was used as a defensive replacement 13 times over two stints, one due to Dustin Pedroia’s injury in late June and early July and the other when the rosters expanded in September. With Xander Bogaerts playing his best shortstop of his career, Boston primarily used Marrero at third base for his time with the big league club. Marrero had never played more than three games at third base before this season, but handled his time on the hot corner well—he committed just one error in 22 chances at third and also played errorless defense at second for 20 innings. This week, we recap the next six players in the season-end Top 40, going from 16 to 11. All entries in this year's Top 40 Season in Review series can be found here. Season In Review: An intriguing raw outfield talent, 19-year-old Basabe was an All-Star in his first season with the Lowell Spinners. Basabe - not to be confused with his twin brother Luis Alejandro, who played shortstop and second base for the GCL Red Sox - signed as an international free agent with the Red Sox out of Venezuela at the age of 16. Flashing a combination of power, speed and arm strength in the field, it is easy to see why Basabe has risen through the ranks of Red Sox prospects. Season in Review: A season after the 2013 first-round pick split his season between a brutal, 6.52-ERA first half and a redeeming, 2.70 ERA second half, Ball struggled with inconsistency in 2015. After giving up 10 hits and six runs during his debut with Salem, he rebounded to throw six no-hit innings in his second start of the campaign. Those two starts were indicative of how his season would progress. He surrendered 16 earned runs over his next 20 innings, then did not allow a run in three starts from June 4 through June 14, spanning 15 2/3 innings. He allowed just six hits over that stretch. 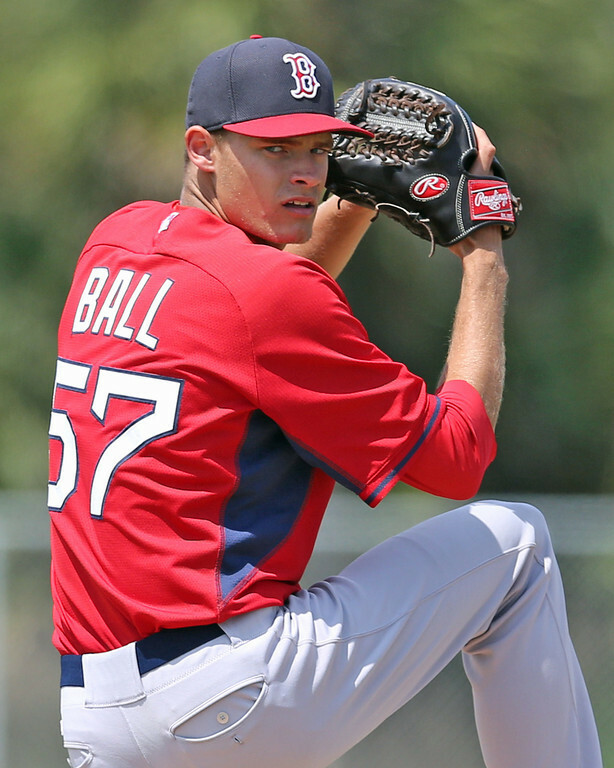 Ball finished on a sour note, giving up 42 runs over his final 66 2/3 innings. The Red Sox announced today that they signed six players to minor league contracts with invitations to spring training, including four players who saw varying degrees of playing time in the majors in 2015. Right-handers William Cuevas (pictured), Sean O'Sullivan, and Anthony Varvaro will all get a chance to contribute in Pawtucket this season, while third baseman Chris Dominguez, center fielder Ryan LaMarre, and catcher Ali Solis will offer depth for the lineup. 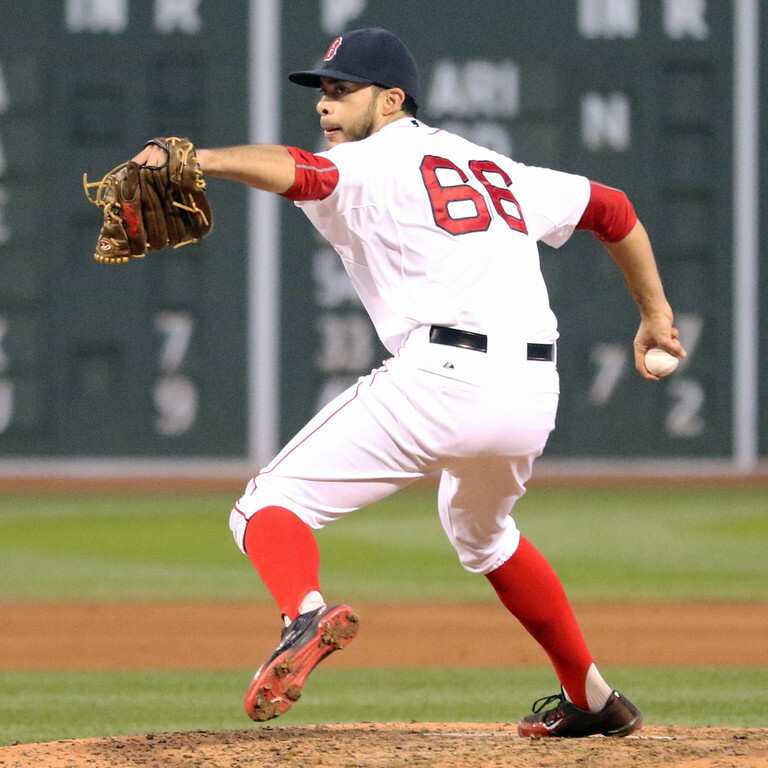 Cuevas and Varvaro are familiar faces, with Cuevas spending his entire career with the Red Sox after debuting in 2009, and Varvaro spending the first month of last season in Boston's bullpen before undergoing surgery to repair a torn flexor tendon in his pitching arm. This week's roundup covers play from the period of December 7-December 13. For the full list of Red Sox prospects participating in offseason action, check out our Fall and Winter Leagues page, which will be updated continuously through the end of the offseason. Marco Hernandez (pictured) went 5 for 21 with a double, two runs, and two RBI this past week at shortstop for Licey. Aneury Tavarez followed up a nice week by going 3 for 11 with a double. Roman Mendez was the only Red Sox pitcher to appear in the Dominican League last week. He made two appearances and tossed 2 1/3 scoreless frames, allowing two hits along the way. 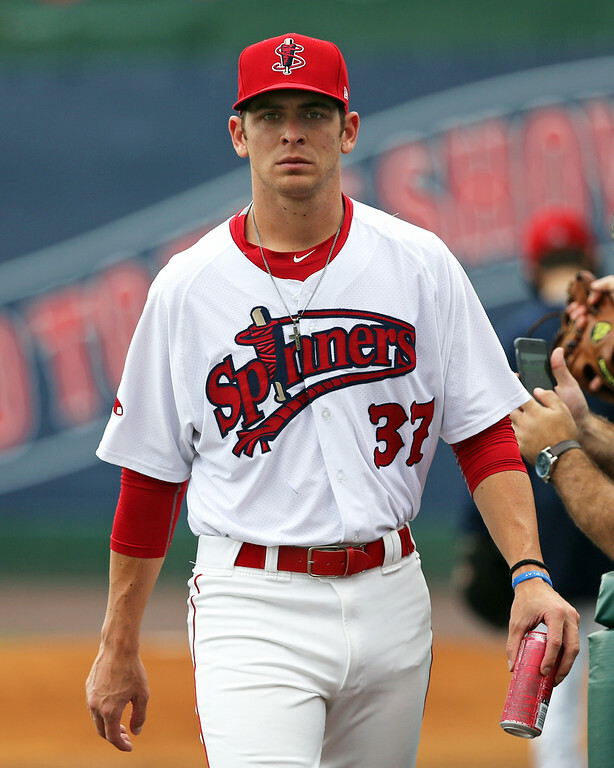 Season in Review: Longhi often seemed overshadowed on a star-studded Greenville roster, but the Springfield, Massachusetts-born prospect quietly turned in a solid 2015 season. Coming off a torn UCL in his thumb that ended his 2014 season after only 30 games, Longhi quickly put to rest any worries about potential rust or lingering effects. He opened the season with a 10-game hitting streak, going 16 for his first 41 at-bats with four doubles and two home runs. While he did not keep that torrid pace throughout the summer, Longhi finished the year with 124 hits and 27 doubles, good for fifth in the farm system in both categories. This all came while being 19 for most of the season, making him one of the younger members of the South Atlantic League. 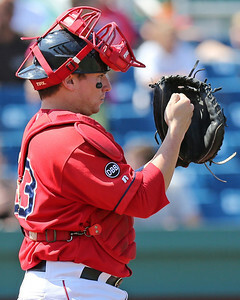 He was the third-youngest position player to appear for the Drive in 2015, older than only Rafael Devers and Javier Guerra, and only 23 of Longhi’s 488 plate appearances were against younger pitchers. This week, we recap the next six players in the season-end Top 40, going from 22 to 17. All entries in this year's Top 40 Season in Review series can be found here. The Red Sox announced today a deal that sends utilityman Garin Cecchini to the Milwaukee Brewers in exchange for undisclosed cash considerations. Cecchini had been designated for assignment last week in order to clear a spot on the 40-man roster for free agent pitcher David Price. Cecchini, 24, was a highly touted prospect in recent years but saw his star fade due to struggles at the Triple-A level. He labored to a .213/.286/.296 line with Pawtucket in 2015, finding himself the only healthy position player on the 40-man roster not to receive a recall when rosters expanded in September. His drop-off at the plate was magnified by a lack of progress in the field. Exclusively a third baseman during his first three years in the organization, he was slow to take to the position and started seeing time in the outfield in 2014. 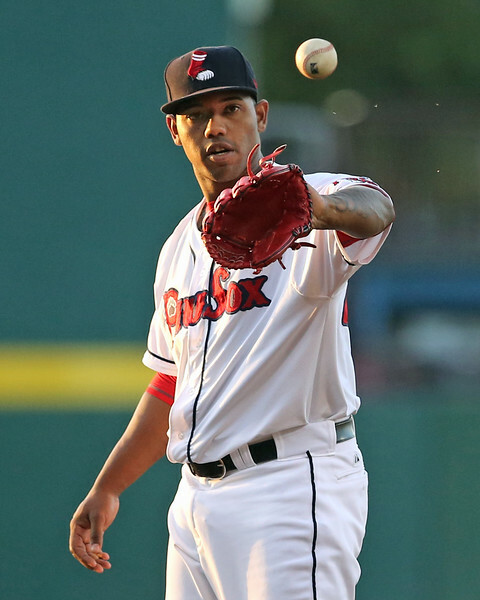 In 2015, he appeared at third base in only 19 of his PawSox games, instead seeing the majority of his playing time at left field and first base. 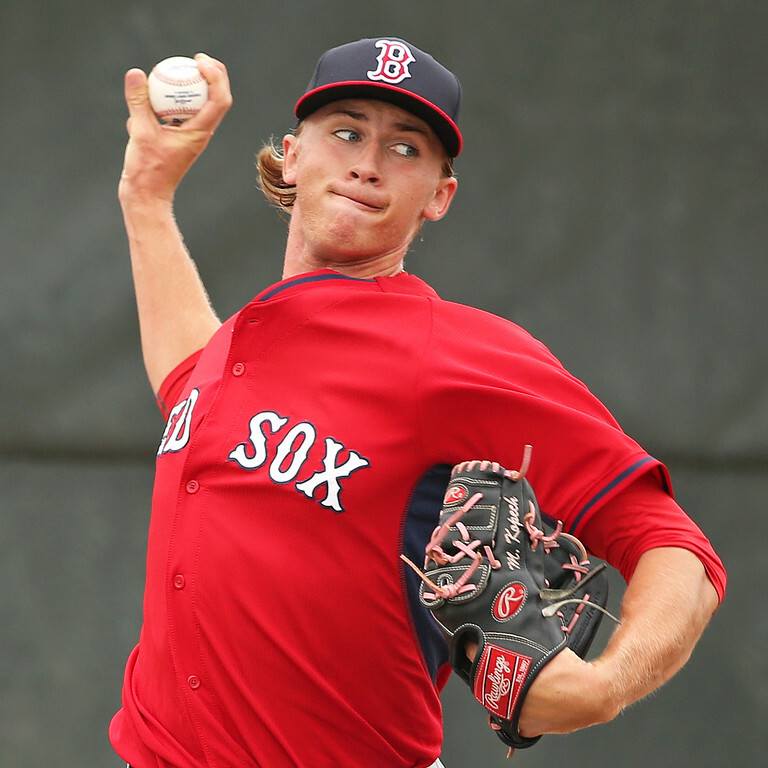 The Red Sox were not active in the major league portion of the 2015 draft, but used the Triple-A phase to supplement their minor league pitching depth. Right-handed pitchers Jhonny Polanco (pictured) and Angelo Leclerc were taken from the St. Louis Cardinals and Texas Rangers organizations, respectively. The Chicago Cubs tabbed Red Sox outfielder Jesus Loya in the Triple-A portion of the draft. Boston was not eligible to make a selection in the major league portion because it did not have a free spot on its 40-man roster. For the first time since 2008, the Red Sox did not have one of their own players selected by another team. Players taken in the major league portion of the draft must remain on the 25-man roster of the drafting team all season or be offered back to their original team. Season in Review: Stankiewicz has not posted standout numbers on paper, but he continues to show the potential to be a workhorse pitcher. 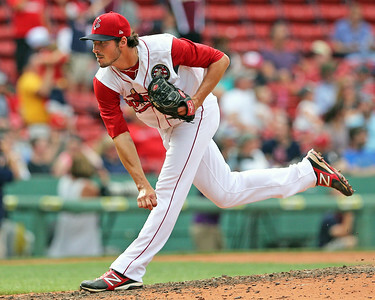 The 6-foot-4 Texan topped the 140 innings mark for the second season in a row and ranked second among all pitchers in the Red Sox system in innings pitched. He also ranked fourth in the Carolina League in innings pitched. Stankiewicz showed flashes of brilliance last season with eight innings of shutout ball on May 25 then seven scoreless frames on July 3 as well as in his season finale on Sept. 6. First baseman Sam Travis capped a solid showing in this year's Arizona Fall League with a selection to the circuit's Top Prospects Team. The league's managers and coaches voted for the 22 honorees, basing their votes on a combination of performance and major league projectability. Travis hit .344/.394/.505 in 23 games for the Scottsdale Scorpions, hitting 10 doubles, a triple, and a home run over his 93 at-bats. He and Mets first baseman Dominic Smith were the two first basemen selected. Notably, the recently traded Carlos Asuaje was one of the two honorees at second base. The Red Sox made their first trade of the 2015 Winter Meetings on Monday, sending left-hander Wade Miley and right-hander Jonathan Aro (pictured) to Seattle in exchange for right-handed reliever Carson Smith and left-handed starter Roenis Elias. Smith is expected to slot into a setup role in front of Craig Kimbrel, along with Koji Uehara, while Elias may either compete for the fifth spot in the rotation or be used against left-handers out of the bullpen. This week's roundup covers play from the period of November 30-December 6. For the full list of Red Sox prospects participating in offseason action, check out our Fall and Winter Leagues page, which will be updated continuously through the end of the offseason. 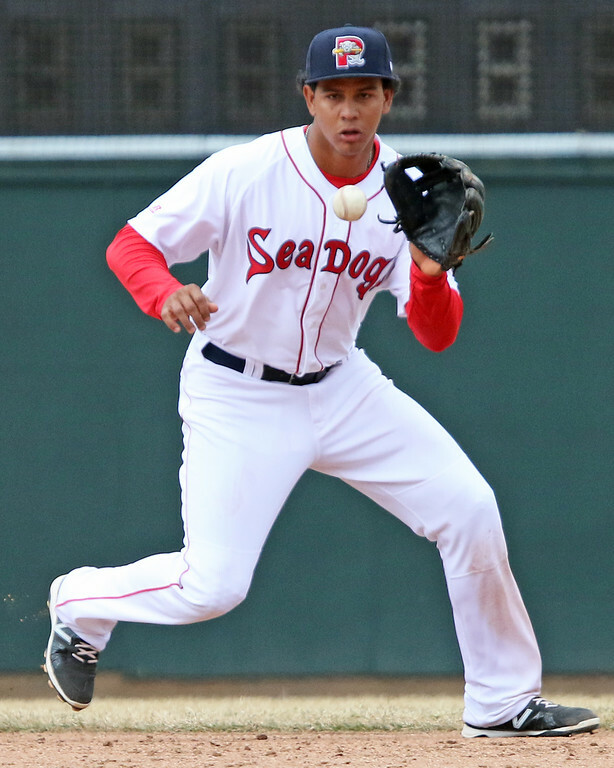 Playing both shortstop and second base this week, Marco Hernandez (pictured) went 5 for 13 with two doubles, a walk, and a run scored as he rebounded from an 0 for 12 performance last week. 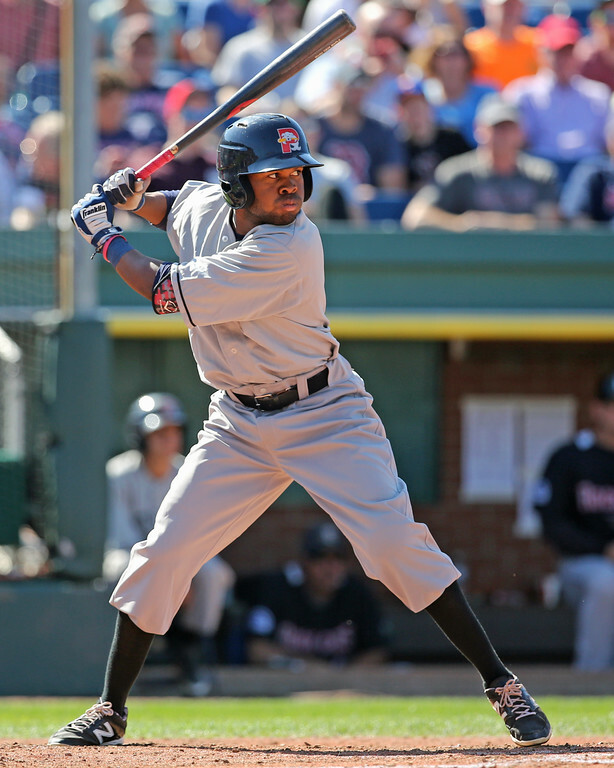 Appearing in his first games in over a month, Aneury Tavarez went 4 for 7 with a double, walk, and three stolen bases. 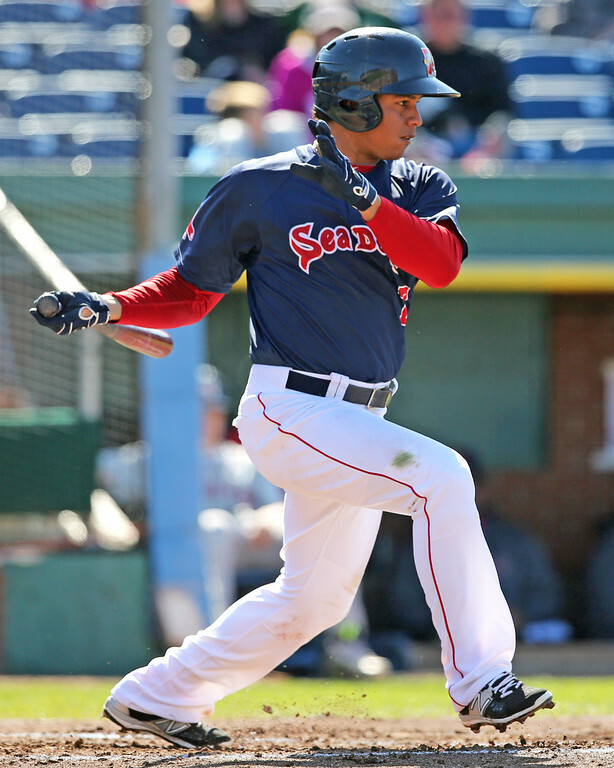 Free agent Carlos Peguero went 2 for 12 with three walks and two strikeouts, while Rafael Devers did not see any playing time for the third week in a row. Season in Review: After being signed by the Giants out of Venezuela in September 2012 as an older international free agent at age 21, Ysla had shown promise at the lower levels of the minors. As an older pitcher in the Gulf Coast League, he struck out 52 hitters in 51 innings with a 1.00 WHIP. He continued that success in 2014 at a more age-appropriate level, posting a 2.45 ERA and striking out 115 hitters in 121 1/3 innings, although his 45 walks were a bit high. But Ysla struggled when he was promoted to High-A San Jose and the hitter-friendly California League to start 2015. The 23-year-old allowed 22 earned runs in 14 innings on 31 hits and 14 walks in his first five starts and was summarily moved to the bullpen until mid-July. After a brief return to the rotation began with four solid starts and unraveled with 10 more earned runs in 6 2/3 innings in his final two starts, he again returned to the bullpen, again finding improved success. In all, Ysla fared better in relief, posting a 4.69 ERA in 48 innings as opposed to an 8.18 ERA in nine total starts for San Jose. The Red Sox announced today that Garin Cecchini has been designated for assignment to make room on the roster for newly acquired free agent pitcher David Price. Cecchini, a once-promising prospect, has tumbled down the prospect lists over the past couple seasons. 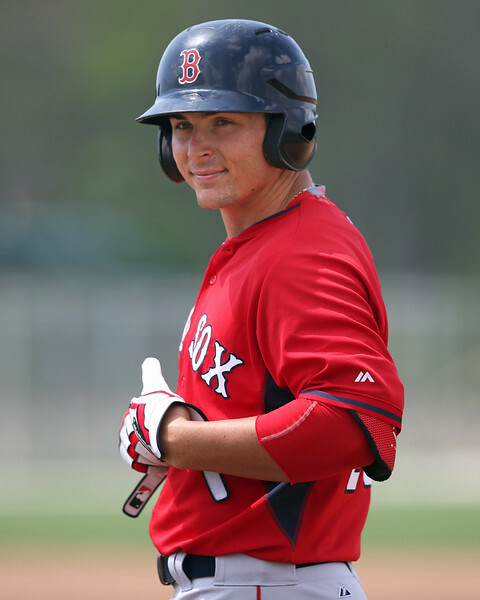 He peaked as high as third on our rankings here at SoxProspects.com back in September of 2013 after hitting .322/.443/.471 between Salem and Portland that season. However, Triple-A has proved to be a challenge that he has been unable to conquer thus far. 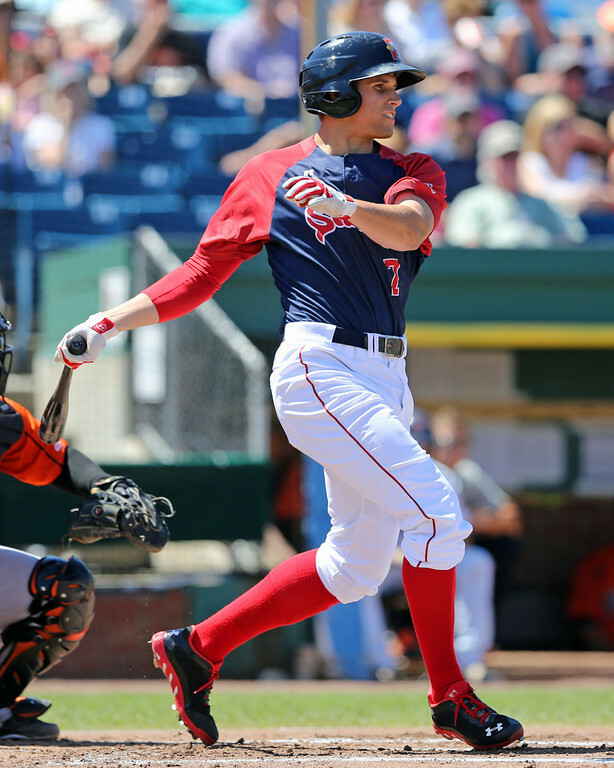 Cecchini's fall from grace began in 2014 with Pawtucket, batting .263/.341/.371 in 114 games. He was called up to Boston for a game on June 1 of that year, but was sent right back down after the game. 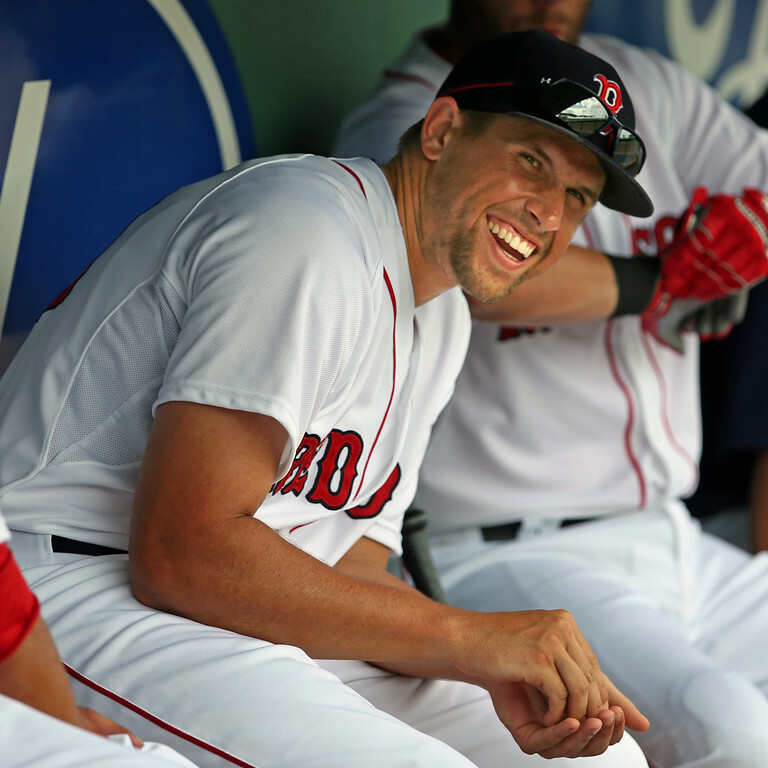 He reappeared in Boston for a cup of coffee in late September of 2014, playing in 11 total games with the Red Sox. This week, we recap the next six players in the season-end Top 40, going from 28 to 23. All entries in this year's Top 40 Season in Review series can be found here. Season in Review: Aro’s rapid ascent through the system culminated with two brief stints in Boston in 2015. After spending time with Greenville and Salem in 2014, Aro started this season in Portland, and after only 22 1/3 successful innings, he moved up to Pawtucket. 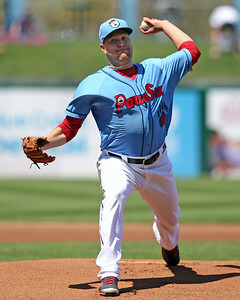 He allowed four runs over his first 3 1/3 innings with the PawSox, but after that he absolutely dominated the International League, going 19 straight scoreless innings, walking three and striking out 27 while allowing only 10 hits. The biggest news of last month was the trade that sent Red Sox prospects to San Diego in exchange for closer Craig Kimbrel. 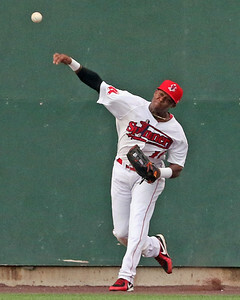 It took four prospects to get the deal done: Outfielder Manuel Margot (ranked fourth at the time by SoxProspects.com, pictured, right), shortstop Javier Guerra (sixth), left-handed pitcher Logan Allen (13th), and infielder Carlos Asuaje (25th). 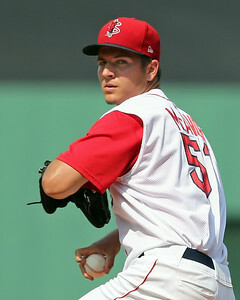 SoxProspects.com staff writer Nick Rabasco summarized the trade shortly after the news broke. SoxProspects.com director of scouting Ian Cundall and assistant director Chaz Fiorino broke down the trade in their Trade Analysis write-up going into fantastic depth with scouting reports from each of the prospects dealt. When the news suddenly broke, executive editor Chris Hatfield sent out the signal and assembled the SoxProspects.com podcast team for an emergency trade podcast. They left no stone unturned and dove into questions such as was this an overpay, does the strong depth of the system affect the way we should look at the deal, and many more. Season in Review: A third consecutive standout season by Ramirez took him all the way to the major leagues in 2015, making him the eighth member of the Red Sox fruitful 2011 draft class to make it to the show. The 25-year-old righty made his big league debut on July 3, coming on for the 10th inning and taking the loss against the Houston Astros. His first three major league outings were inauspicious, as he allowed nine runs, only three earned, in five innings. 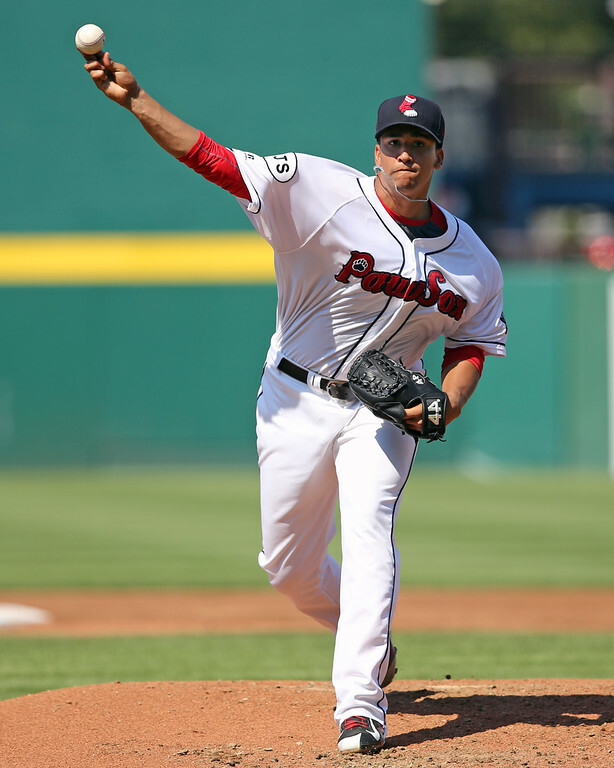 Ramirez was much better after his September 1 recall, giving up three runs on six hits in eight innings across 14 appearances. This week's roundup covers play from the period of November 23-29. For the full list of Red Sox prospects participating in offseason action, check out our Fall and Winter Leagues page, which will be updated continuously through the end of the offseason. Marco Hernandez was quiet this week, going 0 for 12 in the four games he entered this week. Hernandez was the only position player prospect to see action this week. On the mound, Jonathan Aro made two relief appearances allowing a run on two hits and a walk in 1 1/3 innings of work. Aro is 1-1 with a 2.84 ERA in eight games for Licey. Roman Mendez also made two relief appearances, tossing two scoreless innings, both against Escogido. 12:26 PM UPDATE: Diaz has signed with Cincinnati as a minor league free agent. 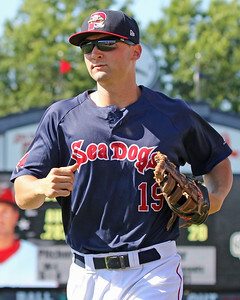 Season in Review: Diaz returned to Portland for the start of the 2015 season after a successful 11-game stint with the Sea Dogs at the end of 2014. He quickly proved he was ready for the next step, allowing only two runs over his first 15 2/3 innings, striking out 17 and walking only two. He was bumped up to Pawtucket on May 11, where he got off to a bit of a rocky start, pitching to a 4.60 ERA over his first seven appearances. This week, we recap the next six players in the season-end Top 40, going from 34 to 29. All entries in this year's Top 40 Season in Review series can be found here. 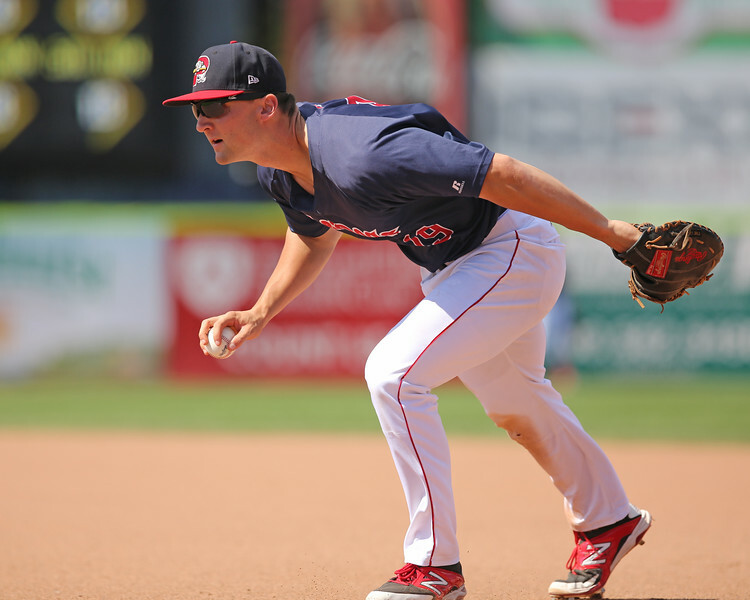 Season in Review: A fourth-round pick in 2014 out of Bryant University, McAvoy made his professional debut in Lowell last year, and skipped straight to Salem to start the 2015 season. He initially proved up to the challenge, posting a 2.04 ERA over his first 39 2/3 innings, though his 25-to-21 strikeout-to-walk ratio and .234 batting average on balls in play hinted that he may not have been pitching as well as his ERA indicated. His numbers regressed significantly over the next two months, as he went on an 11-game skid that saw him pitch to a 6.59 ERA over 56 innings, while allowing 71 hits and 30 walks while striking out only 30. This week's roundup covers play from the period of November 16-22. For the full list of Red Sox prospects participating in offseason action, check out our Fall and Winter Leagues page, which will be updated continuously through the end of the offseason. 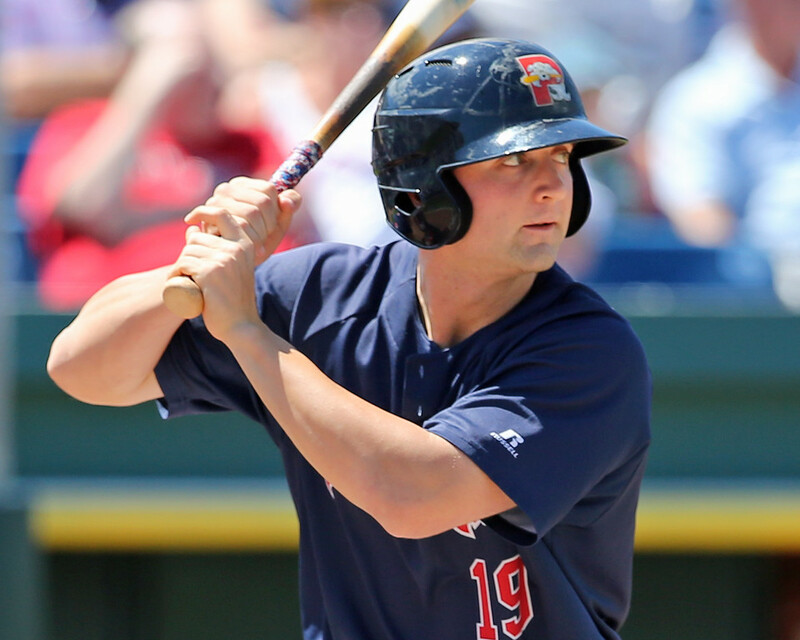 Sam Travis (pictured) continued his torrid stretch at the plate this fall in the AFL’s final week. Although Travis went 0 for 4 in the league championship game on Saturday as his (and the rest of the Sox contingent’s) Scottsdale Scorpions won the AFL championship, he went 7 for 13 with three doubles and a walk in four games to close out the regular season. He ended the fall hitting .344/.394/.505 in 23 games. Justin Haley started on Wednesday and pitched very well. He went four innings, allowing just one hit, no runs, and no walks while striking out six to earn the win. He finished with a 0.64 ERA in 14 innings this fall. Chandler Shepherd had a solid week, tossing 3 1/3 innings while giving up just one earned run with no walks and two punch outs. Danny Rosenbaum struggled with his control but was able to limit the damage, walking four over 1 2/3 innings without allowing a run. Jamie Callahan added a scoreless inning that included a strikeout. Season in Review: Lakins entered the 2015 college season with a chance to be selected in the first few rounds of the draft, after a freshman year that saw him strikeout 55 batters in 55 innings. Pitching only out of the bullpen in 2014, his fastball reportedly touched 96, and his secondary offerings showed promise. The draft-eligible sophomore moved into the rotation for the Buckeyes in 2015, but both his results and pure stuff took a step back. His ERA rose from 2.45 to 3.75, and he proved to be very hittable, giving up 97 hits in 96 innings to go along with 84 strikeouts and 32 walks. He did reportedly change his arsenal after 2014, scrapping his slider for a curveball that would be better for his long-term development. The Red Sox added three players to the 40-man roster before Friday's deadline to protect players from the Rule 5 draft. A pair of relievers, right-hander Pat Light (pictured) and lefty Williams Jerez, will join infielder Marco Hernandez on the major league roster. 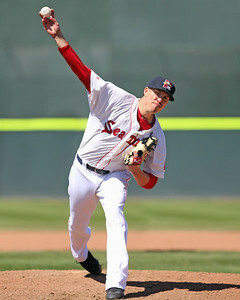 The moves line up with those projected by Chris Hatfield of SoxProspects.com in his in-depth roster breakdown. The Red Sox cleared two spots by designating infielder Josh Rutledge for assignment and outrighting pitcher Anthony Varvaro off the 40-man roster. Varvaro elected free agency following his outright. Light, 24, was a supplemental first-round draft choice out of Monmouth University in 2012. The hard-throwing right-hander took quickly to a move to the bullpen in 2015 after struggling as a starter. Light posted a 2.43 ERA in 21 appearances with Double-A Portland, striking out 32 in 29 1/3 innings before an early-June promotion to Triple-A. He struggled some with his control with the PawSox, walking 26 in 33 innings, but he continued to strike out more than a batter per inning. 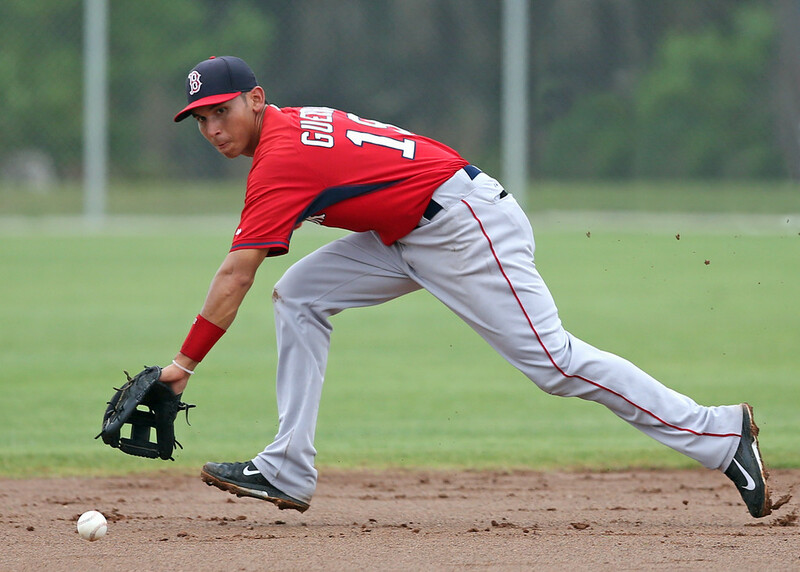 Light joins fellow 2012 draftees Deven Marrero and Brian Johnson on the 40-man roster. On Friday, the Red Sox will decide which minor league players to add to the 40-man roster in order to protect them from selection in the Rule 5 Draft, which will take place in early December at the Winter Meetings. Often a process that draws inordinate fan attention in comparison to its actual importance, the modern Rule 5 Draft rarely, if ever, results in the selection of an impact player along the lines of past Rule 5 draftees Johan Santana, Josh Hamilton, and Joakim Soria. 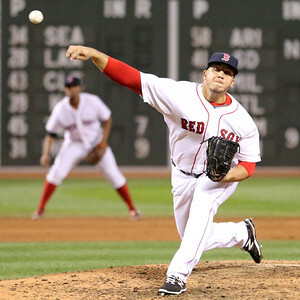 However, teams' determinations of who to protect, who not to protect, and who to cut loose in order to make roster additions can still have at least moderate impact down the line - see the Red Sox's busy 2012 set of roster moves, in which they declined to protect Josh Fields, designated David Carpenter and Danny Valencia for assignment to make room for other players, and protected Dan Butler and Alex Hassan, where the first three have since been positive MLB contributors and the latter two have barely seen time in the majors between them. This season, Red Sox face only very simple decisions regarding who to protect from selection. To start, the trade of outfielder Manuel Margot removed the lone slam-dunk 40-man roster addition from the organization, with Craig Kimbrel effectively taking his roster spot. Of the players left, shortstop Marco Hernandez and right-handed reliever Pat Light are near-certain additions, with left-handed reliever Williams Jerez also a possibility. But before we review the players eligible for selection if left unprotected, let's review the basics of the draft. Further details can be found on the SoxProspects.com Wiki. Last week, we recapped the 13 players who were in the top 40 in the SoxProspects.com rankings at some point this season, but no longer are. Monday we began our recap of the players ranked in the site's end-of-season top 40, and today is the third installment. All entries in this year's Top 40 Season in Review series can be found here. Note that because we set the schedule for this feature several weeks ago, we are going to move forward with using the season-end rankings, despite the recent trade. Last week, we recapped the 13 players who were in the top 40 in the SoxProspects.com rankings at some point this season, but no longer are. Monday we began our recap of the players ranked in the site's end-of-season top 40, and today is the second installment. All entries in this year's Top 40 Season in Review series can be found here. Note that because we set the schedule for this feature several weeks ago, we are going to move forward with using the season-end rankings, despite the recent trade. This week's roundup covers play from the period of November 9-15. 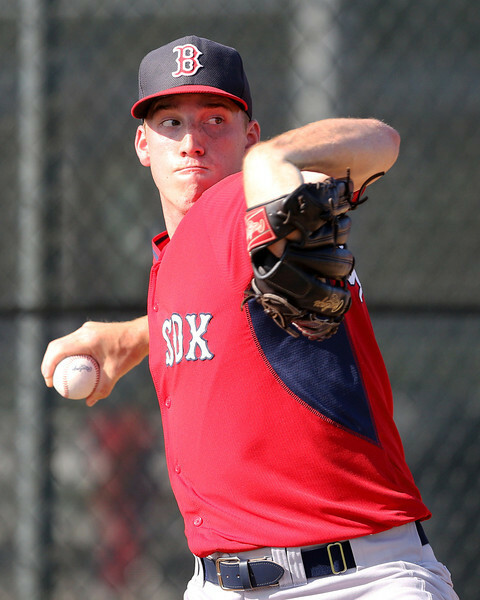 For the full list of Red Sox prospects participating in offseason action, check out our Fall and Winter Leagues page, which will be updated continuously through the end of the offseason. 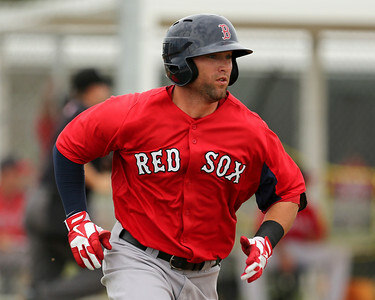 With Carlos Asuaje being traded in the Craig Kimbrel trade, the Red Sox lost one position player participating in the league, but they added Jamie Callahan (pictured) to Scottsdale's roster, with the former second-round pick making two appearances out of the bullpen last week. He went one inning in each appearance, giving up a total of one run on one hit and one walk while notching a strikeout. The big play of the week came on Monday, when Sam Travis stepped to the plate with two runners on and his team down by one in the bottom of the ninth. He connected for his first home run of the fall league for the walk-off victory. He finished the week going 6 for 22 with the home run, two doubles, and five runs batted in. He also struck out four times while drawing a walk. He is currently 10th in the league with a .313 batting average, while his .371 on-base percentage ranks 15th. Well, it did not take very long into the offseason for Dave Dombrowski to make a blockbuster move, as the Red Sox traded four of their top 25 prospects on Friday for Padres closer Craig Kimbrel. If there ever was a time for an emergency podcast, this is it, so Chris, Matt, and Ian got on the horn to discuss the ins and outs of the deal. We have scouting reports on Manuel Margot, Javier Guerra, Logan Allen, Carlos Asuaje, and even Kimbrel. Was it an overpay, and even if it was, does it still make sense for the Sox? How much does it matter that the system is so deep and the Sox are set at shortstop and center field? How did the free agent market influence the deal? We leave no stone unturned in our debate! The Red Sox announced Friday night the acquisition of right-hander Craig Kimbrel from the San Diego Padres in return for outfielder Manuel Margot, shortstop Javier Guerra, left-handed pitcher Logan Allen and second baseman Carlos Asuaje. In dealing those four prospects, the Red Sox took advantage of two of the deeper positions in their system, dealing from a surplus of outfielders and middle infielders in order to trade up for proven closer. But we won’t sugar coat it: The Red Sox paid a steep price to get that proven closer. Margot and Guerra were two top 100 prospects in the game, and Logan Allen had the potential to move up the prospect ranks next year as a polished left-hander getting his first taste of full-season ball. - Manuel Margot has been with the Red Sox since he signed as an international free agent in July 2011 for an $800,000 signing bonus. Since he entered the system, he has excelled at every level, reaching Portland this season and putting up a .271/.326/.419 line in 258 at-bats as a 20-year-old. Margot is listed at 6-foot-0, 170 pounds with an athletic frame. He is a quick-twitch athlete who projects to add strength as he continues to physically mature. His best present tools are defensive ability and speed, but he also has potential to hit for average and some power. Margot is a potential plus-to-better center fielder with no questions about his ability to stay up the middle. He gets solid reads off the bat and does a good job tracking the ball, wasting little movement in his routes. His arm strength is only solid-average, but he is accurate with his throws and has a quick release that will play in center. Although he is not the same caliber defender as a Jackie Bradley, he still plays a very impressive center field, and with his instincts and speed he will be a very good fit in the spacious outfield in San Diego. Margot is also a plus-to-better runner with the type of speed that makes the defense rush. He gets out of the box well for a right-hander, and though he has not put up big-time steal totals in the minors, he has the potential to steal 30-plus bases at the big league level. The Red Sox have announced that they have traded for Padres closer Craig Kimbrel. 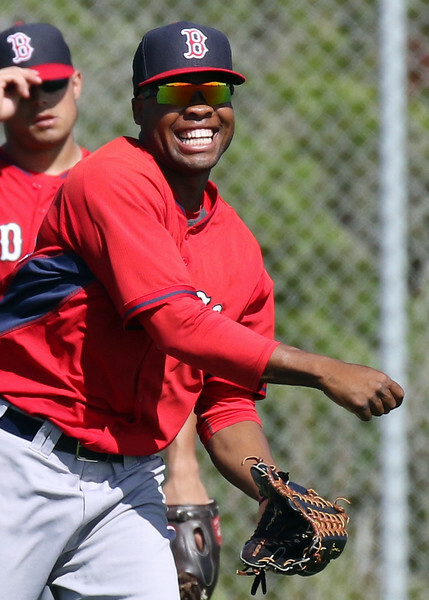 Boston will send Manuel Margot (pictured), Javier Guerra, Logan Allen, and Carlos Asuaje to San Diego in return. Margot had a strong 2015 season that began in Salem and ended in Portland. 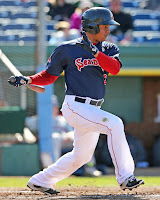 The SoxProspects.com fourth-ranked prospect hit .282/.321/.420 in 46 games for Salem and .271/.326/.419 in 64 games with Portland. 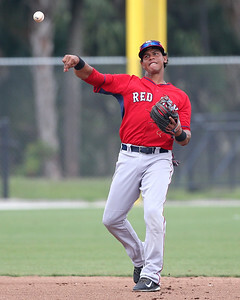 Some speculated that Margot would be involved in some type of deal this winter, as the Red Sox have plenty of young talent in the outfield, especially in the big leagues, but now do look thin at the position in the upper minors. 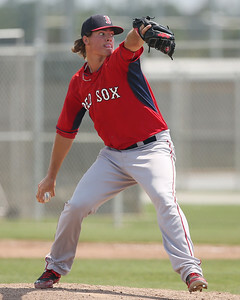 Margot just turned 21 this past September and signed with Boston as an international free agent in July of 2011. He was working his way up that ladder in the Red Sox system and is currently playing in the Dominican Winter League. His speed and power combination make for an intriguing prospect that many believe will become an impact outfielder in the future, though he does not project to have an elite-level ceiling. This marks part three of three of our look at players who were once in the top 40 but fell out for various reasons. Next week, we start our recap of the current top 40. The 2015 third rounder entered the rankings at 21 on the strength of pre-draft scouting reports that pegged him as one of the best defensive catchers in the draft and a Baseball America top 100 draft prospect. He missed time during his junior season at Washington with a torn left thumb ligament which may have hurt his draft stock, and it is quite possible that it still bothered him in Lowell, as he did not nearly come as advertised, struggling both at the plate and in the field. He flashed plus tools defensively at times, but at others, he had a hard time even catching pitches in the strike zone. At the plate, the numbers tell the story, although he did right the ship somewhat after a 2-for-30 stretch to start his pro career. While he may have been a candidate to start 2016 in Salem, after his performance in Lowell, Rei will almost certainly begin 2016 in Greenville. This marks part two of three of our look at players who were once in the top 40 but fell out for various reasons. Next week, we start our recap of the current top 40. With Acosta, his appearance here is less about falling out of the Top 40 than it is about his hovering right around the edges of its periphery all season, as he ranked between 40 and 47 at all points since Opening Day. 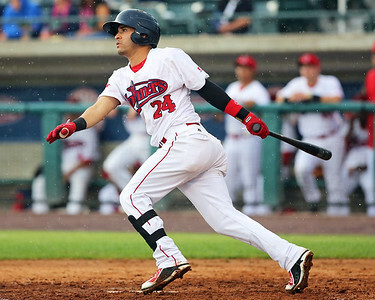 The 19-year-old Venezuelan has shown the ability to hit for power in the past, slugging a more-impressive-than-it-sounds eight home runs in the Dominican Summer League in 2013. However, he had his lowest power output in his three professional seasons in 2015, hitting just one home run and slugging .351 while working through struggles against New York-Penn League pitching. Acosta started hot with 15 hits in his first nine games of the season, but he had just 38 more in his final 47 games, posting a .216/.278/.307 line over that stretch. His power also came in bunches, as eight of his 16 doubles came in a 10-game stretch from July 31 to August 13.